Excerpted from the Spring 2019 edition of Communities, “Community Land”—full issue available for download (by voluntary donation) here. Aaron Tanaka is founder and Director of the Boston-based Center for Economic Democracy. Aaron is also a community organizer, grant-maker, impact investor, and a founding organizer of the Boston Ujima Project, which brings together neighbors, workers, business owners and investors to create a new community-controlled regional economy. He is an Echoing Green and BALLE Fellow, and co-chair of the national New Economy Coalition and the Asian American Resource Workshop. 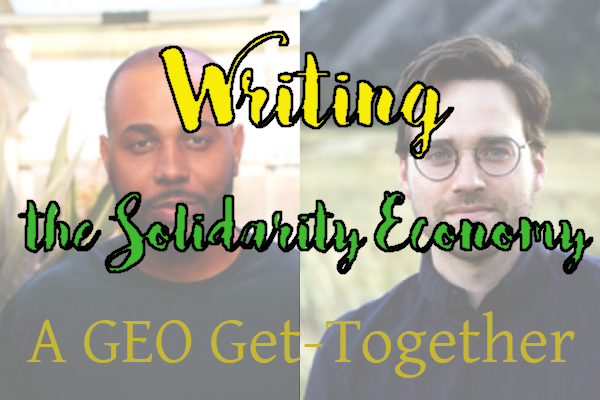 Please join us for our second GEO Get-Together with Nathan Schneider and Cadwell Turnbull as they discuss their recent media work on solidarity economics. The Co-op Academy is a holistic cooperative entrepreneurship training and mentorship program with an emphasis on creating sustainable, member-owned businesses. I am sending a link to a TED talk. Unusal for me. This one is really unusual. If you watch the first two minutes or so, you will probably have to watch the whole thing. It's about the core of democracy and our cooperative/solidarity movements far more than any scaling up efforts could possibly be. Everything we do needs to burn gently and fiercely with this, and that includes changing ourselves. Food — from where it grows, to where it goes, all of it matters to our bodies and our communities. We begin October with a conversation about how farmers are creating equitable food systems inside cities, from urban agriculture to worker-owned cooperatives. An in-depth look into the inner workings of the commune system of Rojava and how they work in practice; I also call for people to form communes throughout North America and the world. [Author’s note: It can often appear that new organizations spring out of thin air, but movements and groups are built through the hard work of dedicated volunteers. SolidarityNYC’s work in the research, development, and organizing for a solidarity economy movement in New York City is largely unknown, undocumented, ignored, and misunderstood. The survey form and research data are available on request, under a Creative Commons 4.0 Attribution-ShareAlike International License. Read part one here. 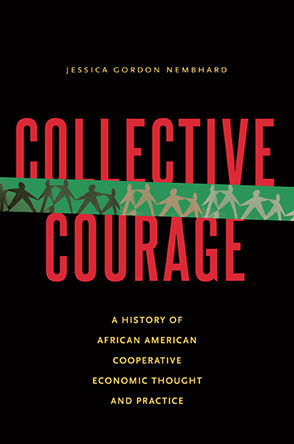 Richard Rice interviews Jessica Gordon-Nembhard, PhD and Ed Whitfield on Cooperatives, Community Development and Social Justice. Although I don’t live in a community yet, I have spent three years organizing Charlotte Cohousing in North Carolina. This year I gave three workshops on diversity in community. I attended the Cohousing Conference and the Twin Oaks Communities Conference for the first time this year. I also participated for the second time in New Culture Summer Camp in West Virginia. Ormond Ashby bounces into the unheated, under-construction home of Café ULU on a chilly January day with a bayonet saw and an air of enthusiasm. The 76-year-old retiree is here to help to build a stage for the new worker-owned café.